Sportsmen's Dog Training Club building is available for rental. 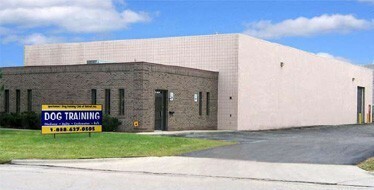 The 9,200 sq ft building is conveniently located south off 1-696 at Dequindre Rd, just minutes from 1-75. The main room is 115' x 64' and features a double-layer rubber floor. There is also a meeting room and break room area. Air-conditioning and central heat offers climate controlled comfort in any weather. To view the floor plan, click here. Click here to download the Building Rental Information brochure. To view the area map, click here.